Governor-general is a title and position recognisable throughout the Commonwealth, historically and today. 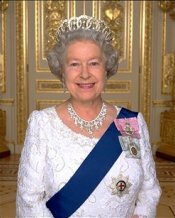 Today, a governor-general is Queen Elizabeth II’s representative in each of the 15 of the 16* Commonwealth countries in which she is head of state: Antigua and Barbuda, Australia, Belize, Barbados, Canada, Grenada, Jamaica, New Zealand, Papua New Guinea, St Kitts and Nevis, St Lucia, St Vincent and the Grenadines, Solomon Islands, The Bahamas and Tuvalu. Such countries are known more traditionally as Commonwealth realms. Historically, many Commonwealth countries that have presidents as their head of state had at one time a governor-general instead. Also in the past governors-general have been exclusively British, which is no longer the case for countries that still have them. The role of the governor-general is of a de facto head of state carrying out the ceremonial day-to-day duties on behalf of the Queen such as appointing ministers, ambassadors, and judges on the advice of a prime minister and giving Royal Assent to legislation. *The United Kingdom is the 16th Commonwealth realm but does not have a governor-general since the Queen fulfils the function of head of state in practice. Governors-general are elected or chosen by the country’s parliament, cabinet or prime minister and all formally appointed by the Queen. On the advice of a Commonwealth realm’s government, almost all governors-general are knighted by the Queen as an accepted norm and accorded the title ‘Dame’ when female and ‘Sir’ when male. Canada and Australia are the exceptions to this.